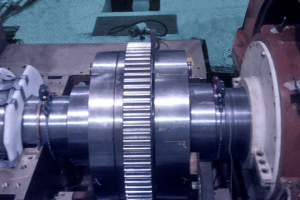 Aligning shafts using laser technology has increasingly become the preferred method of shaft/coupling alignment for many customers. MD&A provides coupling laser alignment services using laser technology by Pruftechnik, the industry leader in this technology. Powerful equipment coupled with MD&A's alignment expertise, provides you with someone you can count on to perform your alignment and solve any complicated problem you may have.